Jumping off the tourist carousel is often the best way to get to know a place. Here are the best non-touristy things to do in Malaga, from discovering the city’s edgy street art scene to hanging out with wolves during a full moon. You won’t see many tourists on the streets of Soho, a now-neglected quarter of Malaga that fifty or so years ago was a desirable residential area. Bordered by Alameda Principal to the north, the Guadalmedina river to the west and the port to the east, this now-unloved neighbourhood is nevertheless home to one of the most exciting street art scenes in Andalusia. As part of the initiative known as Malaga Arte Urbano Soho (MAUS), some of the world’s leading grafitti artists have adorned Soho’s crumbing facades with amazing spray-paint images; hunting for these is a great way to spend a morning or afternoon off the tourist circuit. Malaga’s two best-known markets, Atarazanas and La Merced, are great places to explore but they don’t quite have the local flavour of Mercado Salamanca, located a little way out of the city centre towards the football stadium. This is a market used pretty much exclusively by Malagaueños, who arrive early to snap up the freshest produce from noisy vendors who trade within its beautiful neo-Moorish exterior. Salamanca is well worth the ten or fifteen minute walk from Malaga´s historic centre, which will take you through some of the city’s most characterful and least touristy neighbourhoods. Though the popular Plaza Merced is only about a five minute walk away, La Tranca’s client-base almost entirely consists of Malagueños. Crammed into the tiny bar and spilling out onto Calle Carreteria, they are plied with vermouth, sweet wines and homemade tapas by the friendly owner Ezequiel, making for a noisy and chaotic atmosphere that is the signature of any truly local bar in Andalusia. 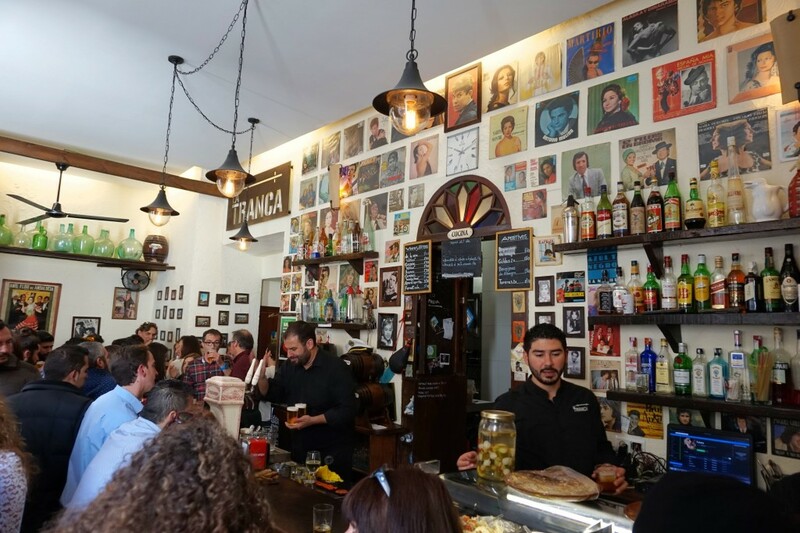 The back wall of Tranca is plastered with album covers by classic Spanish singers, from pop to flamenco, but the bar itself is airy and light rather than cluttered or cramped. One of the best bars in Malaga that tourists don’t know about. The streets and squares that extend towards the river from Malaga’s Maria Zambrano train station (named after a local philosopher) or the bus station, situated right next door, are full of delights and surprises that reward off-piste meandering. Heading away from the stations up Calle Cuarteles, for example, brings you to the west bank of the Guadalmedian river; follow the river northwards to gain a different perspective on the old town and enjoy the graffiti art that enlivens its concrete banks. Alternatively, head north directly from the stations to the lovely Picasso Gardens (Jardines Picasso). Perhaps because of its location inland rather than on the touristy Costa del Sol, the bizarre and beautiful El Torcal national park is never besieged with tourists. Its Jurrasic-era limestone rocks date from around 150 million years ago, when this now wild part of rural Andalusia was at the bottom of the ocean – a mind-boggling thought in itself. 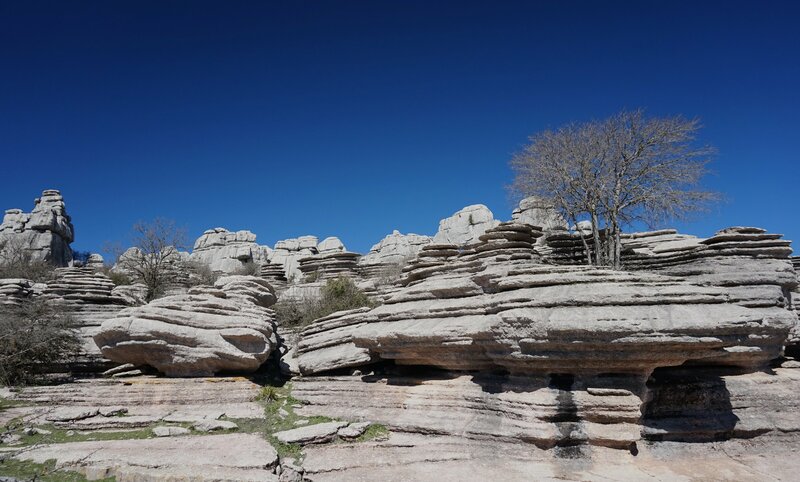 Subsequent erosion formed the remarkable karst landscape that is so distinctive of El Torcal today. Walks of varying levels of difficulty weave through the national park and enable you to explore, after which refreshment can be taken in the charming village of Villanueva de la Concepción. If you’re renting a car in Andalusia, there are few better excuses for a road trip than to explore the region’s iconic pueblos blancos, (or white villages). These traditional Andalusian dwellings, so-called because of their crunched-together white houses, are scattered over southern Spain like giant patches of snow and offer insight into a rural way of life that has hardly changed over the centuries. Whilst some of the more adventurous tourists find their way to the pueblos, they have retained their authentic ambiance and architectural style. Casares, Antequera, Villanueva de la Concepción and Ardales are among the least touristy of Malagas pueblos blancos. The road or day-tripper is well catered for in rural, inland Malaga. Road-side restaurants and hotels dot the countryside and can be fantastic places to stop for lunch and to admire the views. But if you want to really enjoy the rugged scenery of Malaga province, pack a picnic and stop whenever you feel like it. There are few better non-touristy experiences to be had in Andalusia than enjoying a bottle of wine and some sandwiches in the middle of nowhere with nothing but the intense, deep blue of a southern Spanish sky above your head. The country roads around Ronda, El Chorro and El Torcal are especially suited to rustic picnics. 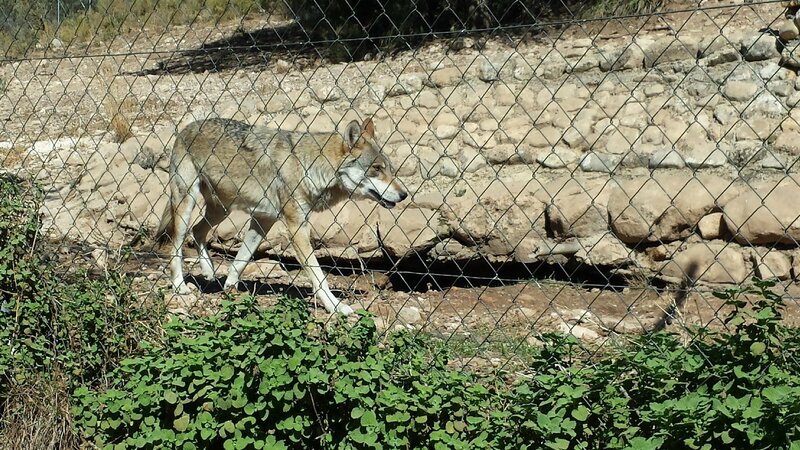 One of Malaga provinces least-touristy attractions is Lobo Park, a nature reserve dedicated to the study and preservation of wolves, just a few miles outside Antequera. Situated in 400,000 square metres of stunning Andalusian countryside, ‘Wolf Park’ is very easy to drive straight past and for that reason, perhaps, it remains something of a niche attraction. The fascinating tours are available in English and Spanish and take you around spacious enclosures that are home to Alaskan, European and Iberian wolves. And if you fancy something a little bit spooky, there are the ‘Wolf Howl Nights’ which take place every full moon. Despite its proximity to the major cities of Granada, Malaga, Cordoba and Seville – a location which has earned it the nickname of The Heart of Andalusia – Antequera remains largely unaffected by tourism. This busy, attractive town, located 30 miles inland from Malaga, is therefore well worth a visit if you’re in the area for Lobo Park or El Torcal (ten and twenty minutes away by car respectively). Even by Andalusian standards it is home to an extraordinary number of ornate churches as well as an understated 14th century Moorish fort that resembles a mini-Alhambra. In the historic city centre a plethora of old-style bars serve superb local tapas, such as Antequera’s take on the famous gazpacho. Malaga’s riotous August feria is one of southern Spain’s biggest and most famous. But less well-known is the fact that every single little village and town in the province, no matter how small, also throws its own annual party, usually during the spring and summer months. These local fairs, prepared with as much devotion and energy as the provincial capital’s extravaganza, offer an incomparable insight into how Malagueños live and party. Simply choose any village or town off the map, find out when it holds its feria, and join the party for a truly non-touristic dose of Malaga life. For a slightly bigger version of Malaga’s village ferias, Antequera’s August fair is also worth experiencing.